Dayuma, born and raised amid the daily brutalities of the Waodani tribe of Ecuador, died on March 1, 2014, entering “gates of splendor” as the result of missionary work initiated by Jim Elliot and Nate Saint. 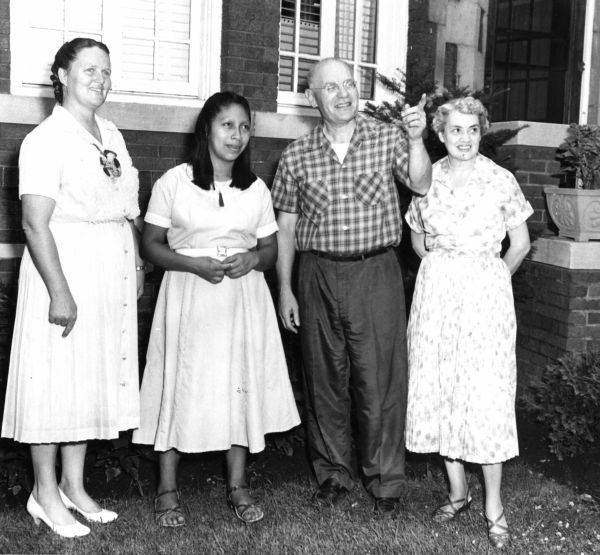 After her conversion, she traveled throughout the United States, speaking about evangelism and reconciliation.She was baptized in 1961 by Wheaton College President V. Raymond Edman at Evangelical Free Church of Wheaton. She presented to Edman three Waodani spears, now housed in the Wheaton College Archives. Assisted by missionary Rachel Saint, she eventually brought many of her family and friends to saving faith, consequently reducing the murder rate among her tribe by 90%. The story of martyrs Nate Saint, Jim Elliot, Peter Fleming, Roger Youderian and Ed McCully is told in Through Gates of Splendor by Elisabeth Elliot.